Telephones,mobiles,FABTAB,Teltab have offered a tremendous means to easily get in touch with our loved ones any time. 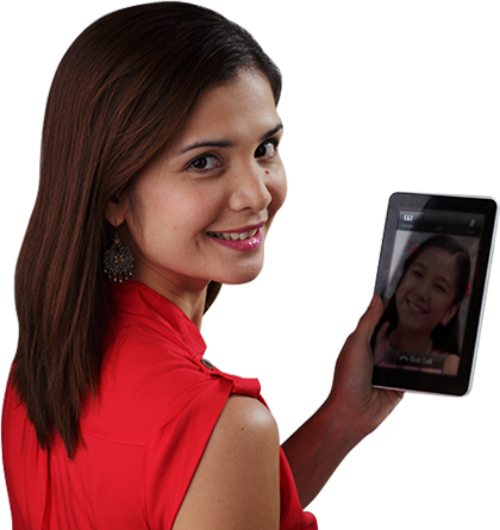 And now with the new app from PLDT HOME is more fun to connect with them using heyÜ. WHAT IS PLDT HOME heyÜ? 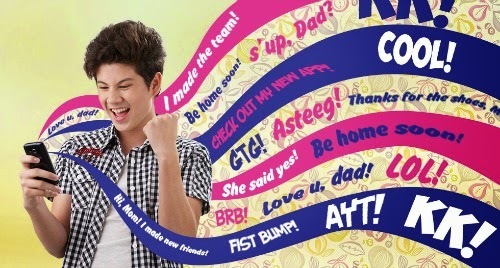 It connects you with your family and friends using the all-new features life free and unlimited heyÜ to heyÜ calls and heyÜ to PLDT landline calls nationwide. Send personal or secret messages instantly with heyÜ. Chat with groups and meet friends. You can even personalize your message with stickers. And choose from a variety of sets that best represents your mood and personality. FREE heyÜ to heyÜ calls. As low as PHp5/min for calls to SMART, Talk'N Text and SUN. And as low as PHp1.50/min for calls to Mainland, United States of America, Canada, Hawaii. Free VIDEO CALLS to other heyÜ users. 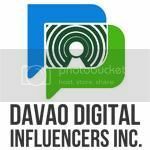 Plug in the username and password provided by PLDT upon registration. And if your asking, does heyÜ work with your phone? It works on Android smartphones and Telpad units. 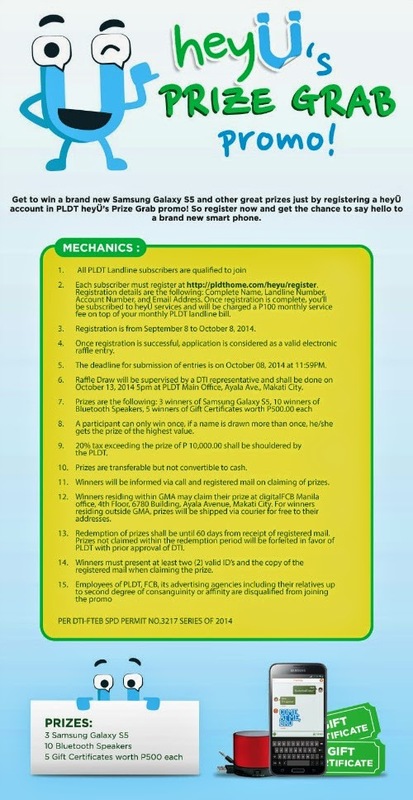 Also avail the PLDT HOME heyÜ PRIZE GRAB PROMO and WIN a BRAND NEW SAMSUNG GALAXY S5 and other great prizes. How? So what are you waiting for, discover the new ways to say "HELLO" with heyÜ!